ar-bi-tra-tion (n) A process in which a disagreement between two or more parties is resolved by impartial individuals called arbitrators, in order to avoid costly and lengthy litigation. In an arbitration, a neutral person hears arguments and renders a decision. The decision of the arbitrator is final and binding. An arbitration hearing is less formal than a court proceeding and the rules of evidence can be more flexible than in court. Analysis of facts and law is necessary to assess the case. 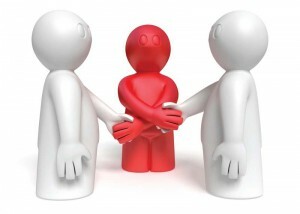 The mediator does not make a decision, but rather works with the parties to assist them in finding their own solution to the dispute between them. The agreement is not legally binding. An arbitrator, also a third-party neutral, makes a decision based on the evidence presented in the arbitration proceedings, and the decision, unless otherwise agreed, is binding on the parties. We offer all forms of workplace arbitration. Contact us for a free assessment.